The blackberry syrup is dark in color with violet hues. Its nose is all in Finesse with the subtlety of the blackberry. 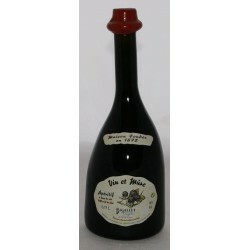 On the palate, it is tasty and well balanced, the syrup expresses all the sweetness of the jams of our grandmothers. Sugar and glucose-fructose syrup, water, mature juice concentrate 15%, natural aroma of mure and other natural flavors, flavors, acidifier: citric acid. 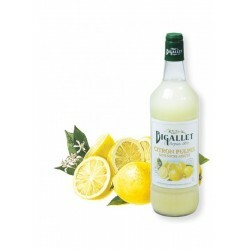 It is ideal for flavoring lemonades, fruit juices, smoothies, cocktails, champagnes or white wines. Sugar and glucose-fructose syrup, water, blackberry juice based on 10% concentrate, natural aroma of blackberry, aroma. 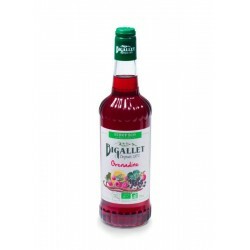 Syrup of blackberry elaborated in the tradition of the house BIGALLET, creator of recipes since 1872.